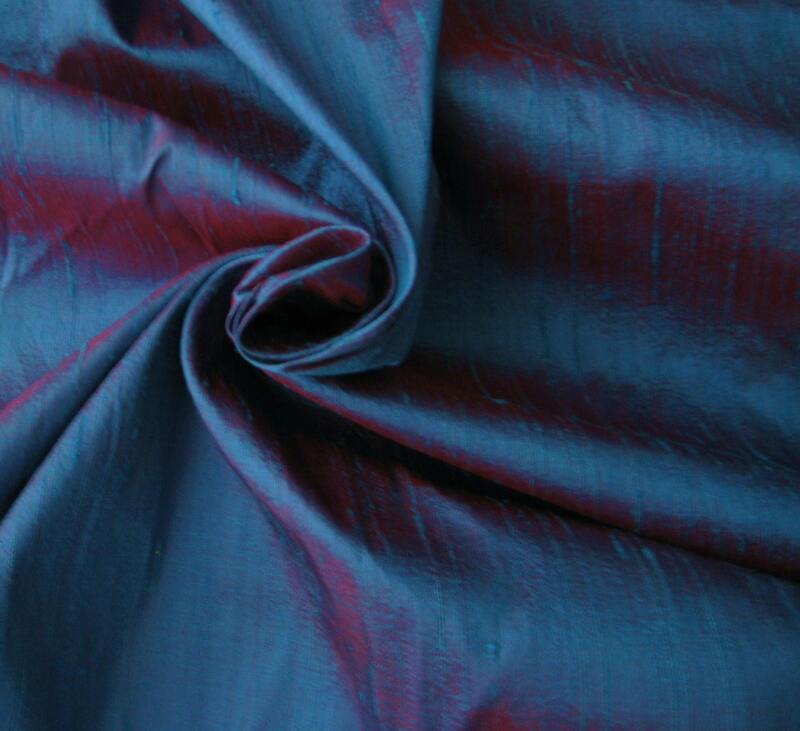 Blue Red iridescent dupioni silk fabric. Brand New High-End Dupioni Silk Fabric Yardage. 45 inches wide. This dupioni has a Blue warp and Red weft making it a strikingly iridescent dupioni silk! Working on a coat made with this beautiful fabric! Its lightweight enough to breathe and does need to be flatlined, but still heavy enough to give it some weight! Will definitely buy more silk from DesignersNeeds. Loooooove... so gorgeous. My only complaint is that I'm too poor to buy another yard!